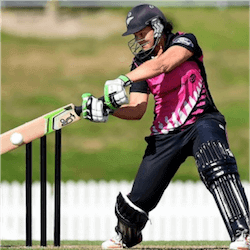 This week, the New Zealand White Ferns cricket team squad was announced for the upcoming T20 and ODI series against Australia. For many punters and cricket fans, the good news is that star off-spinner Leigh Kasperek re-joins the team for the complete home and away series. Kasperek, a former Scottish international player accidently broke her all-important spinning finger in a training session in South Africa. The injury forced her to sit out the South African series as well as the home series against Pakistan which was played in November last year. While her return to the squad means good things for the bowling attack, it also means that Morna Nielsen has had to make way for the more accomplished bowler. Also missing out on the series is Samantha Curtis and Hannah Rowe. The decision to make the cuts was not an easy one. Speaking to the press, Coach Haidee Tiffen said that naming the squad to for the T20 and ODI series was a really difficult task. Tiffen went on to explain that many good players have missed out because New Zealand has shown improved depth of talent which makes it harder and harder to pick players for the team. While this may be the case, it is also a good thing for New Zealand that so many talented players are coming up through the system. For the upcoming series, Suzie Bates will captain the team for both the ODI and the T20 Series. Suzi was named the ICC Woman’s player of the year in 2016 and certainly deserves her spot at the as captain. Also joining the ODI squad is 16-year-old Amelia Kerr, the leg-spinner who made her debut against Pakistan. The New Zealand side will play a total of three Twenty20 international games against Australia. The first will kick off on the 17th of February and played under lights at the famous Melbourne Cricket Ground. The players will then cross the Tasman for the ODI series which kicks off in Auckland on the 26th of February.